Implant Sciences provides over 70 countries with security equipment used in airports, cargo, critical infrastructure, mass transit, customs and borders, and military and first responders to make sure people get home safely to their families. With products that can detect explosives and drugs, its not hard to believe that some of Implant Sciences customers include U.S. TSA, CATSA, and many high profile airports around the world. 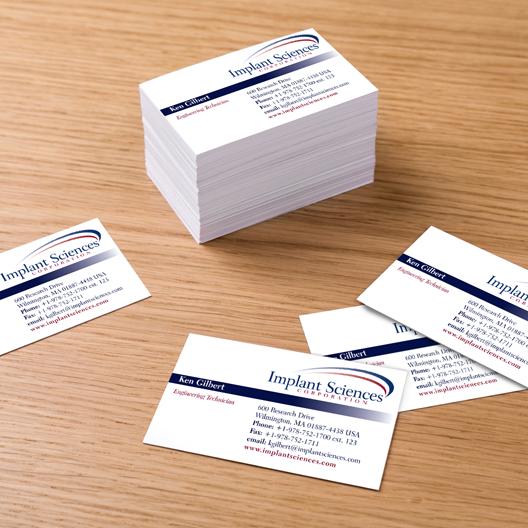 Implant Sciences has been coming to 1-Stop Design for their print needs for 10 years.